Below you fill find all funeral homes and cemeteries in or near Clearwater. Clearwater is also known as: Sedgwick County / Clearwater city. Their current mayor is Mayor Burt Ussery. Zip codes in the city: 67026. Sedgwick County funeral flowers can be purchased from one of the local funeral shops we partner with. Some of the notable people born here have been: (ernie maun), (cara gorges), and (raymond goertz). Clearwater is a city in Sedgwick County, Kansas, United States. As of the 2010 census, the city population was 2,481. It was written by Hutchinson News on July 31st, 2018 that Tammy Lynn Rinke (Donoho) perished in Clearwater, Kansas. Ms. Rinke was 54 years old. Send flowers to express your sorrow and honor Tammy Lynn's life. It was disclosed by Hutchinson News on November 2nd, 2017 that Alvin D Hoelscher perished in Clearwater, Kansas. Hoelscher was 86 years old. Send flowers to express your sorrow and honor Alvin D's life. It was revealed by Hutchinson News on September 21st, 2017 that Max Elmer Ives passed on in Clearwater, Kansas. Ives was 87 years old. Send flowers to share your condolences and honor Max Elmer's life. It was disclosed by Hutchinson News on February 27th, 2017 that Carl G Frischenmeyer died in Clearwater, Kansas. Frischenmeyer was 68 years old. Send flowers to express your sympathy and honor Carl G's life. It was written by Hutchinson News on July 26th, 2016 that E A "Van" Mitchell (Hamilton) perished in Clearwater, Kansas. Ms. Mitchell was 84 years old. Send flowers to share your condolences and honor E A "Van"'s life. It was revealed by Hutchinson News on October 16th, 2015 that Clark Ralph Beck passed on in Clearwater, Kansas. Beck was 78 years old. Send flowers to share your condolences and honor Clark Ralph's life. It was noted on January 17th, 2015 that Juanita Lucille Rennells (Dunham) passed away in Pendleton, Oregon. Ms. Rennells was 86 years old and was born in Clearwater, KS. Send flowers to express your sympathy and honor Juanita Lucille's life. It was disclosed by San Diego Union-Tribune on August 31st, 2014 that Donald "Don" Youngers passed on in San Diego, California. Youngers was 85 years old and was born in Clearwater, KS. Send flowers to share your condolences and honor Donald "Don"'s life. It was revealed by Hutchinson News on July 19th, 2014 that Timothy A Foran died in Clearwater, Kansas. Foran was 84 years old. Send flowers to express your sorrow and honor Timothy A's life. It was noted by Salina Journal on March 19th, 2014 that Cleo J Frye (Morrison) passed away in Clearwater, Kansas. Ms. Frye was 91 years old. Send flowers to share your condolences and honor Cleo J's life. The population was 2,178 at the 2000 United States Census census. 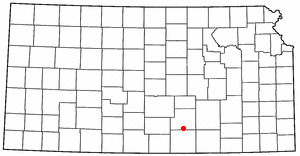 Clearwater is a city in Sedgwick County, Kansas County, Kansas, United States. . . . The official website for the city of Clearwater is http://www.clearwaterks.org/. Clearwater Funeral planning made easy! Learn how to pre-plan your funeral in Clearwater, Kansas, including step-by-step directions. Listing all funeral homes in Clearwater, Florida so you can easily send flowers to any location (same day delivery) or find any funeral service. We work with local florists and flower shops to offer same day delivery. You will find budget sympathy flowers in Clearwater here. Our funeral flowers are cheap in price but not in value. Why Do Funeral Homes Close?